The California State Lottery has tentatively awarded Muse Communications a contract to help it reach African-Americans in the state. SACRAMENTO, CA: The California State Lottery has tentatively awarded Muse Communications a contract to help it reach African-Americans in the state, according to an intent-to-award notice. The five-year contract is estimated to be worth up to $10 million, according to RFP documents for the account. The pact is expected to be formally approved at a board meeting on Thursday morning. 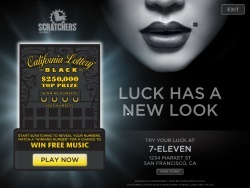 “Critical roles for the Lottery's [African-American] agency partner will be understanding player motivation and helping the Lottery to better differentiate and position its games and brands to enhance player consideration and increase sales,” according to the RFP. Muse is the longtime incumbent on the account. It will provide the state lottery body with integrated communications services support and help it figure out how to engage new players and re-engage lapsed players. The firm will also help the lottery group better understand how to ensure this target audience is talking about and engaging the lottery commission, according to the RFP. The potential scope of work includes PR support that will encompass new media, online, media relations, crisis communications, event management, and cross-cultural outreach. The firm will also provide paid media support. The lottery board also works with Goliath on general outreach, Casanova Pendrill on Hispanic communications, and Time Advertising to target the Asian-American market. Representatives from both the California Lottery and Muse declined to comment until after the contract is formally approved. Earlier this summer, digital agency Quantasy combined operations with Muse to offer enhanced marketing and digital services. In recent years, Delaware, Iowa, and Ohio have issued RFPs seeking communications support for their lottery systems.